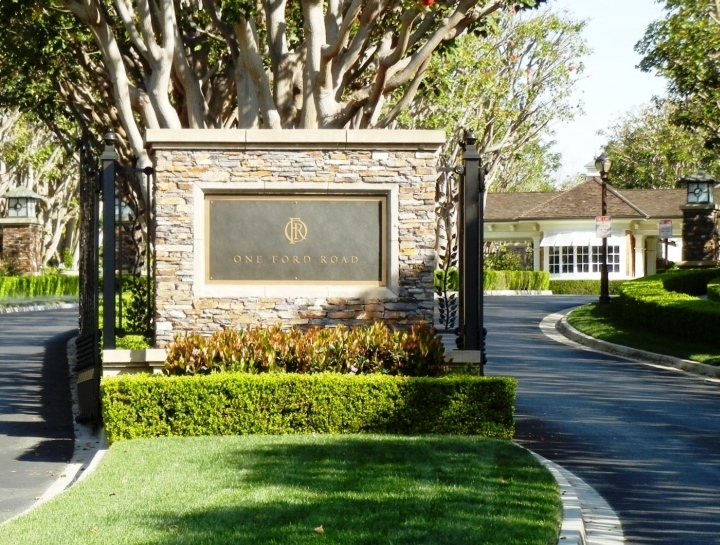 One Ford Road is a luxury home community located in central Newport Beach. The homes were built between 1998 - 2000 and consisted of three phases. There is a mix of styles in the models (Balboa, Carmel, Providence, Stonybrook, and Summerhouse), and some homes offer a downstairs master suites. There are eight custom homes on Troon Drive, the largest of which is 12 Troon Drive at 12,000 square feet, with prices up to $30,000,000. One Ford Road community amenities include a 24-hour guard gate, clubhouse, fitness center, volleyball & basketball courts, two resort-style pools, a toddler pool, croquet, rose gardens, putting green - plus there is a concierge for your private events and much more. Click for homes being held open in One Ford Road - and call Bruce Clark from the Clark Group at 949-285-1207 with questions about One Ford Road Newport Beach homes for sale and lease.